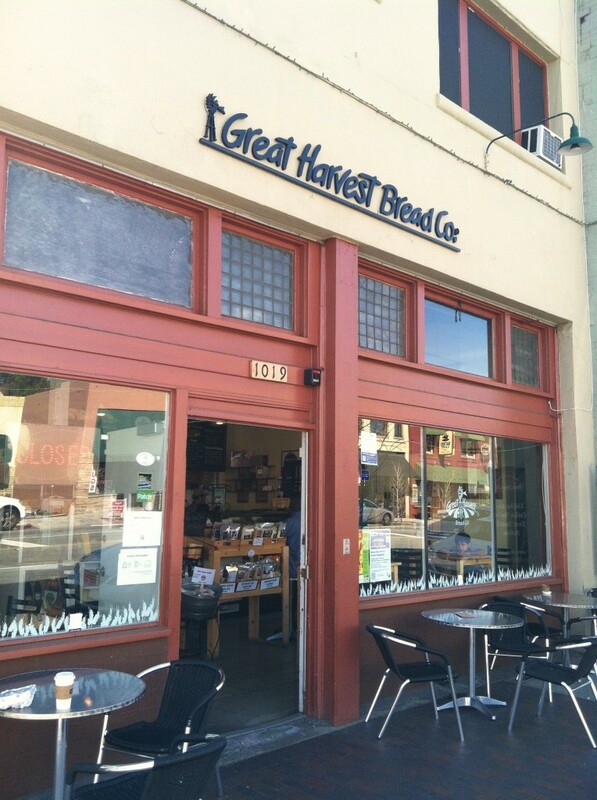 Great Harvest South Pasadena serves sandwiches, cereals, salads, soups, and an assortment of pastries. Try the cinnamon buns. For many people this Lenten season, giving up carbs is one way to show restraint. I’m not one of those people. Bread, especially good, homemade multigrain, wheat bread, is my downfall. Today was no exception. 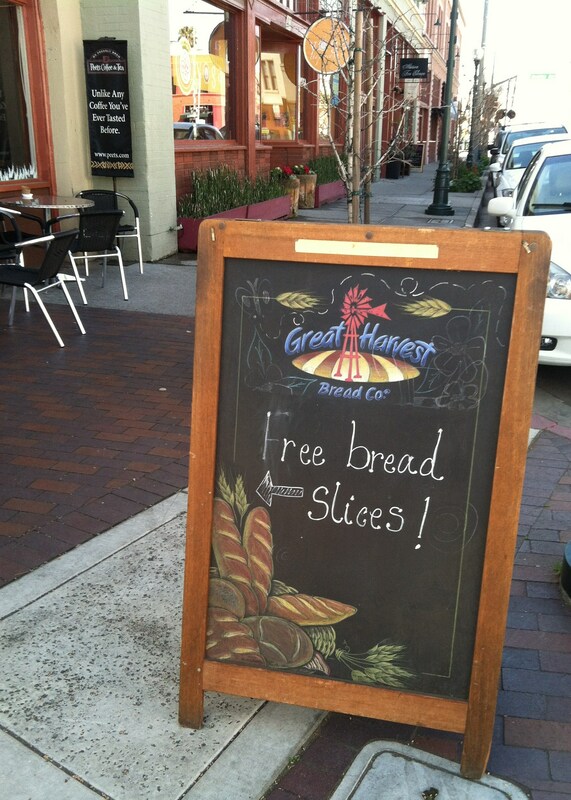 We stumbled upon the Great Harvest Bread Company on Mission Street in South Pasadena. We thought it was a “find” until we discovered it is a chain. I, honestly, had not heard of them before. Typically, we’re not big fans of franchise companies, but we want to support the burgeoning business community in this area. The entire block has seen a renaissance with new restaurants, boutique stores, antique shops, an expanded bookstore, and Thursday night’s farmers market. It’s a great place to stroll on a lazy, weekend afternoon. Don't think it will be an upscale, French, bakery. Instead, Great Harvest is a franchise concept (though it's locally-owned) offering freshly baked wheat and white sandwich loaves, baked goods, sandwiches and Peet's coffee. It appears the Great Harvest is primarily a supplier of breads and it’s the bread that “makes our sandwich so special,” as they say in a flier at the front counter. Their miller grinds fresh whole grain kernels into flour daily to make the fresh, nutritious breads of all varieties, including whole wheat, sour dough, and more exciting types like rosemary sourdough, pumpernickel, and rye. I tried the Bar-b-que Chicken Panini on sour dough bread ($8.50), which has a smokey honey BBQ sauce, breast of chicken, red onion, cheddar cheese, bacon, green lettuce, and tomato. It’s a hearty sandwich but not overwhelming. 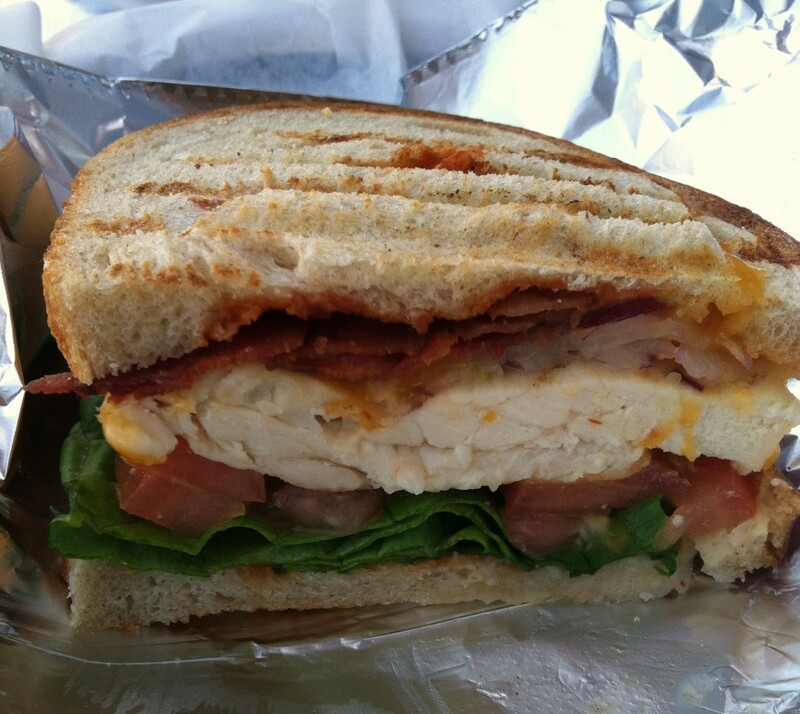 The cheese, bacon and chicken melded together nicely and they were right, the bread was fresh and made the sandwich. The Bar-b-que Chicken and Cheddar Panini sandwich. We also had the Egg Sandwich Panini ($5.75) on sour dough bread. Two steamed fresh eggs, provolone cheese with a creamy garlic and herb spread. My favorite item of the entire meal was the twisting cinnamon rolls. They’re small round buns filled with cinnamon, brown sugar, and butter with a cream cheese frosting that has just a tiny hint of lemon flavor. Delicious! Actually, I’d go back on a weekend just to get more of these buns. 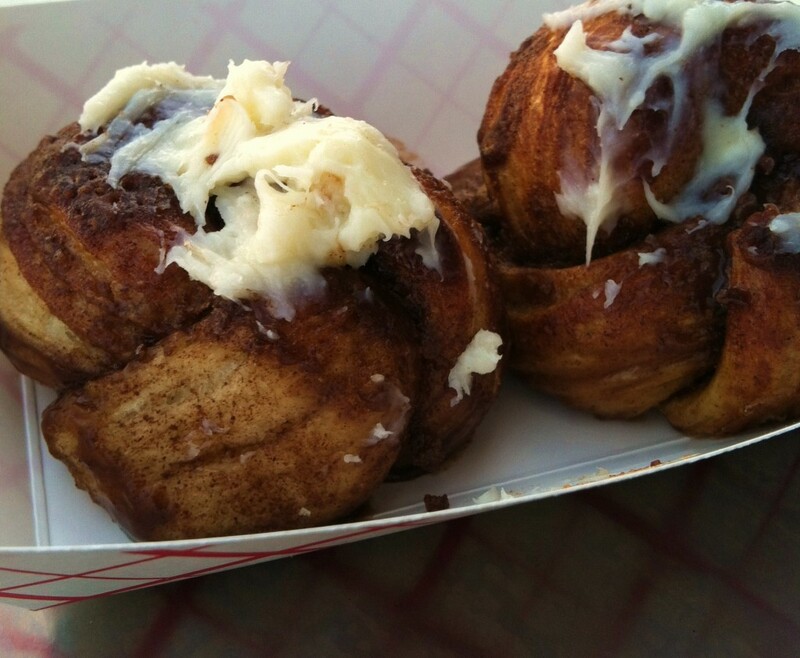 Cinnamon rolls were among the assortment of muffins and scones Great Harvest offered. The only real disappointment came from the service. This is what made me remember that it is a chain/franchise. The people behind the counter were polite, but not attentive. There was a disconnect in their customer service that you rarely find in owners of a bakery or restaurant who are not part of a franchise chain.